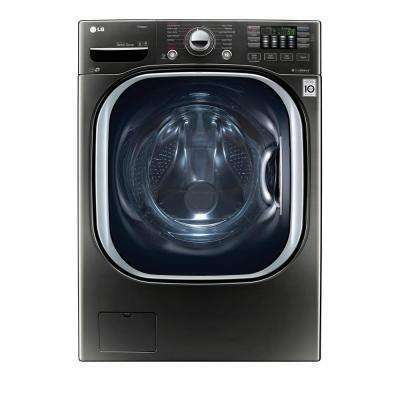 LG Electronics 7.4 cu.ft. 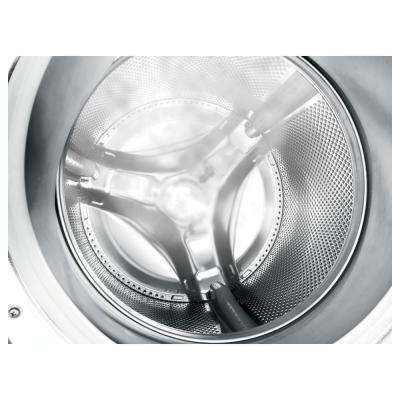 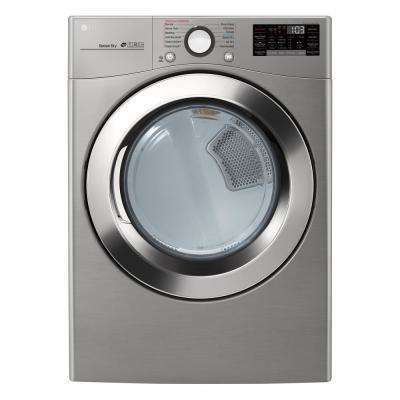 Ultra Large Capacity Gas Dryer with Sensor Dry Turbo Steam and Wi-Fi Connectivity in Graphite Steel. 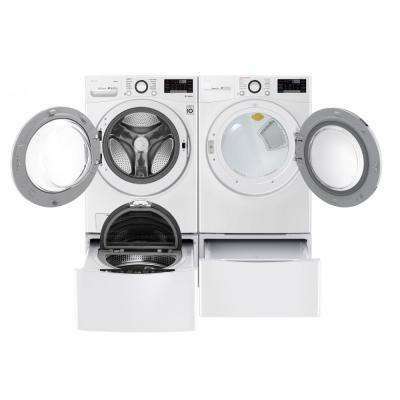 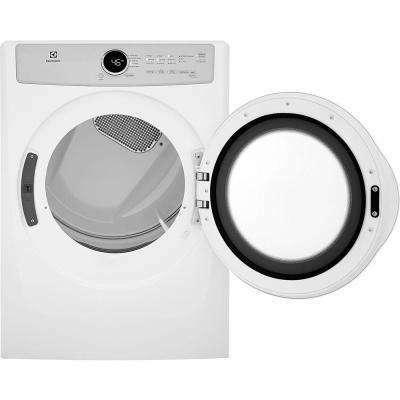 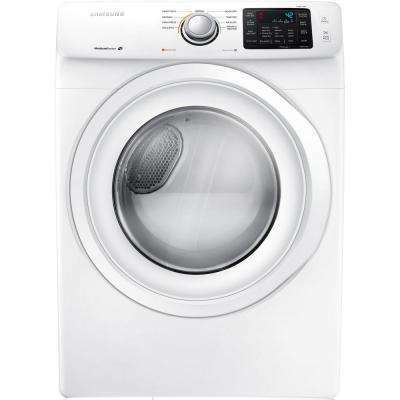 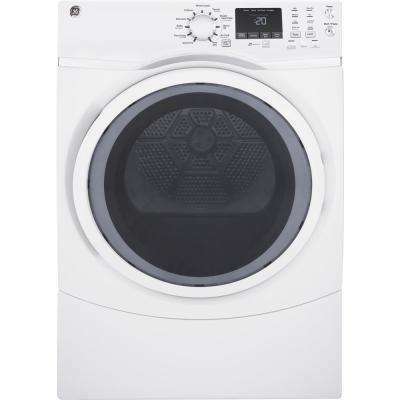 Whether you live in a small home or you simply want to save space, stackable washer and dryer sets are a smart choice. 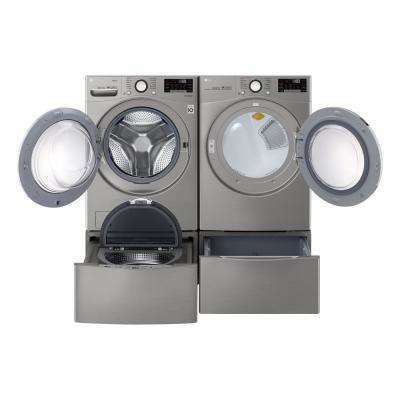 They stretch up, not out, so they have half the footprint of standard washer-dryer sets. 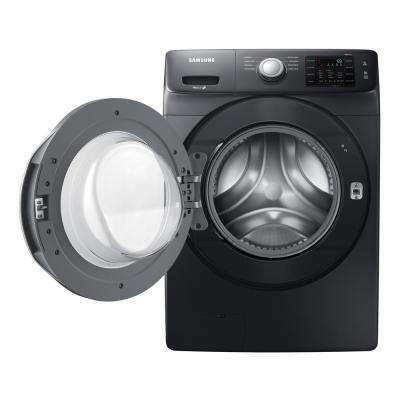 And they can still boast a large capacity tub. 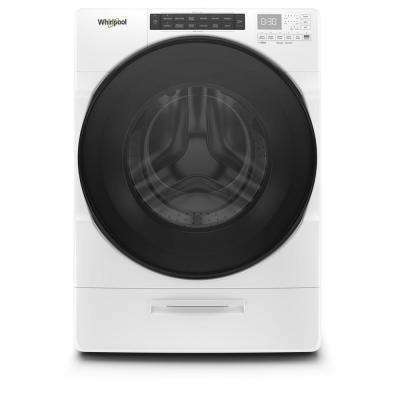 Even with a wallet-friendly front loader, you won’t miss out on a quiet, anti-vibration wash. 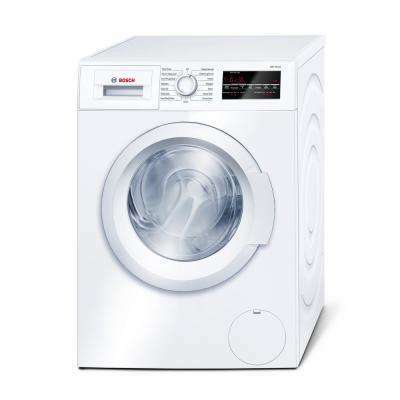 They also offer preset programs for certain fabrics, speeds or soil levels. 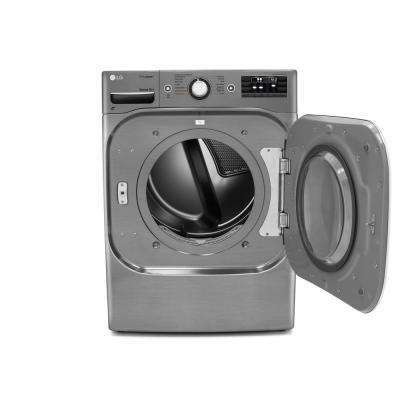 Energy Star-certified or high-efficiency stackable washers will save water—and money—as well as space. 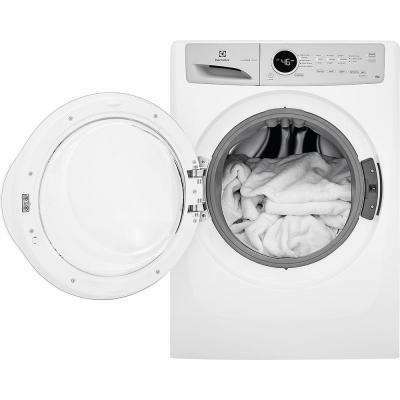 Some can cleanse allergens, add detergent from a bulk dispenser, or let you toss in garments after the cycle starts. 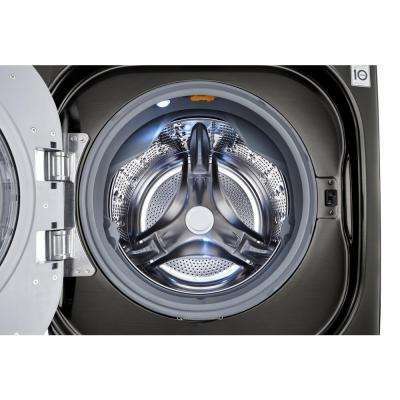 Before you set up your stackable laundry, consider how stackable dryers with a reversible see-through door could streamline your small space. 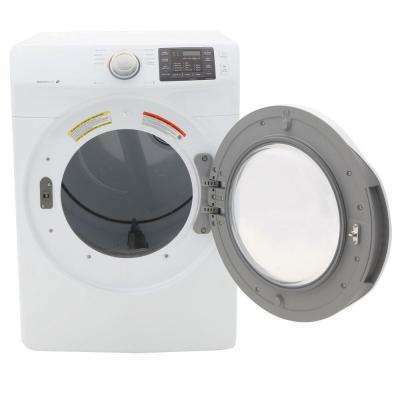 You’ll find a clear LED display and a light inside the drum. 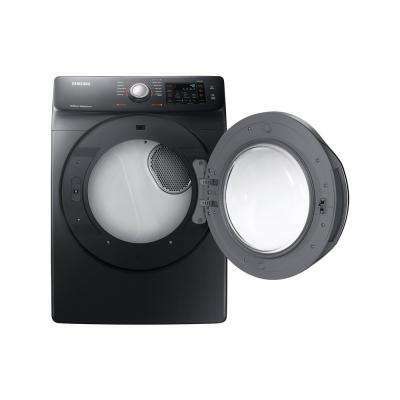 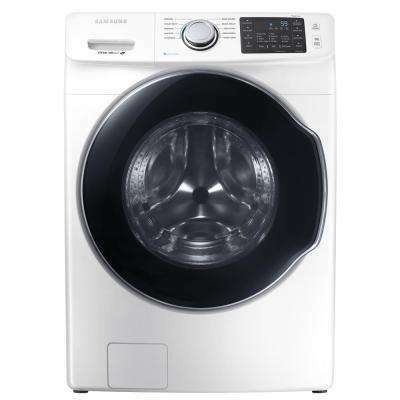 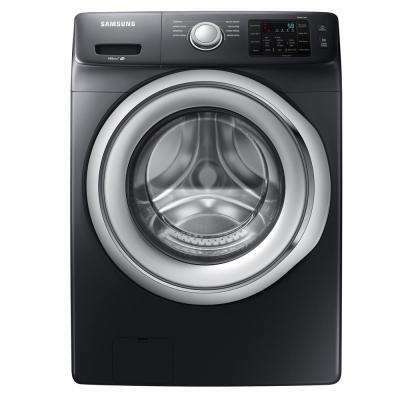 The steam dry feature removes stubborn odors, and Sensor Dry knows when to turn itself off. 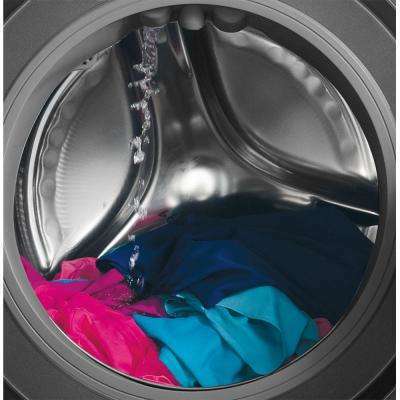 Other presets like anti-static, wrinkle prevention and quick dry give you more control over how your textiles tumble. 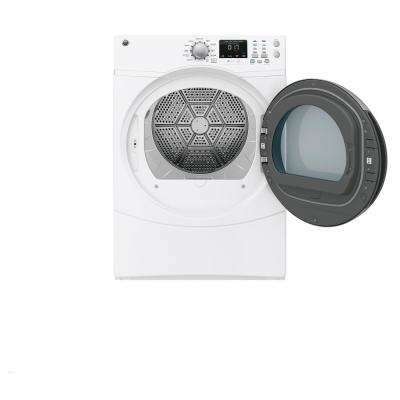 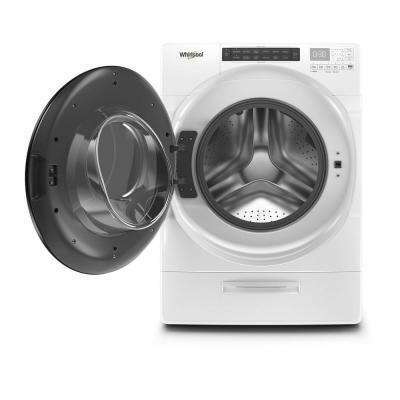 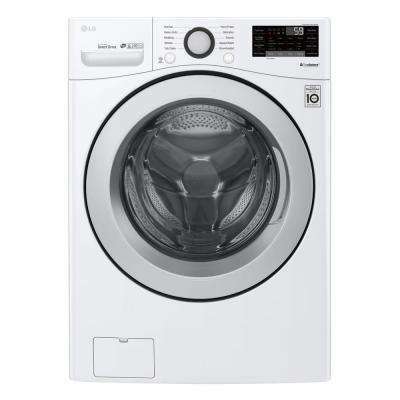 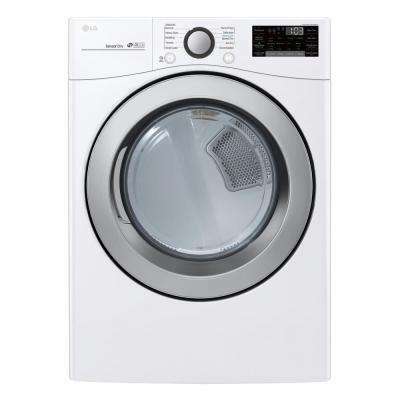 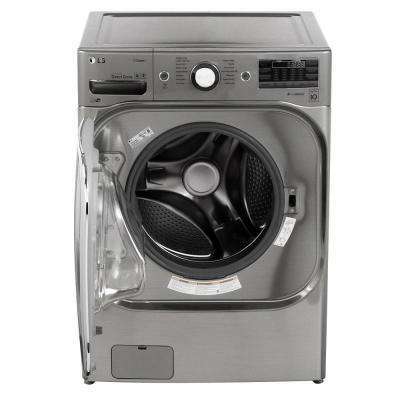 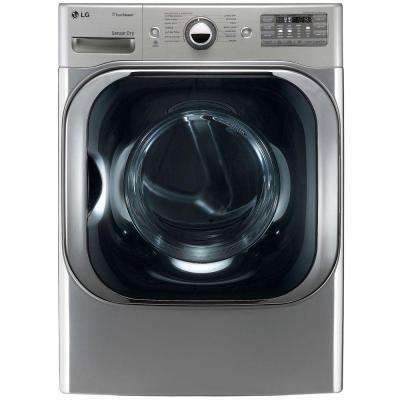 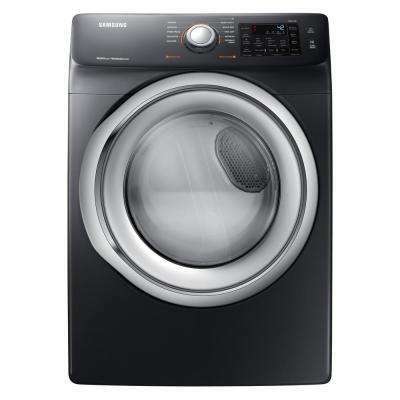 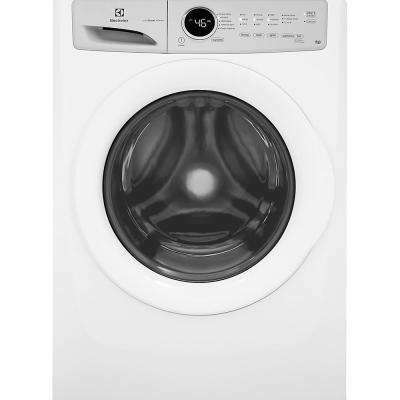 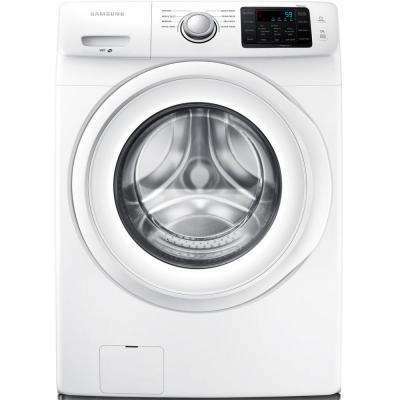 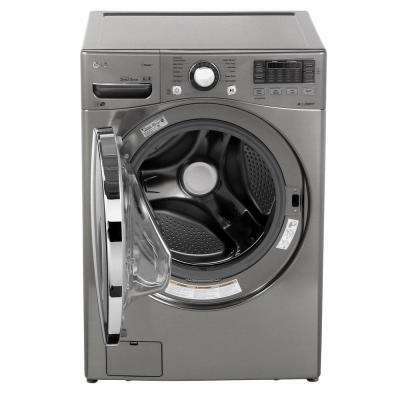 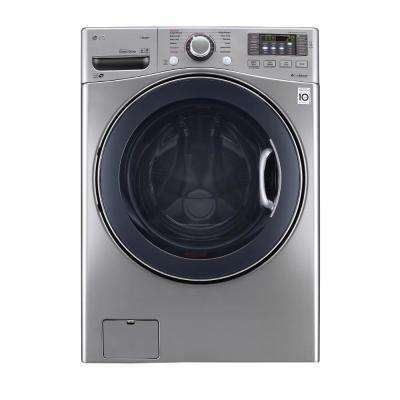 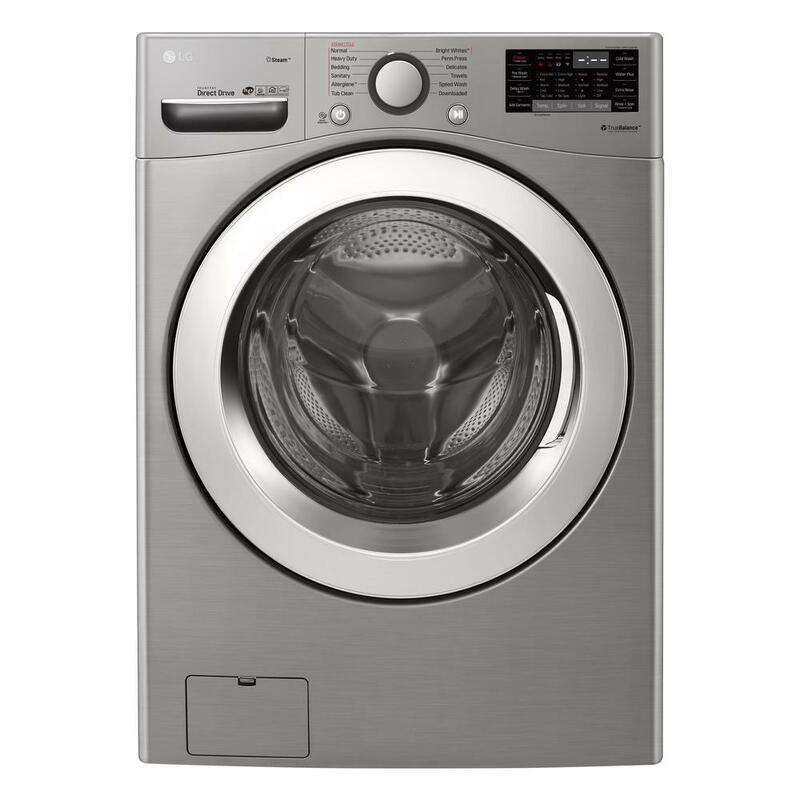 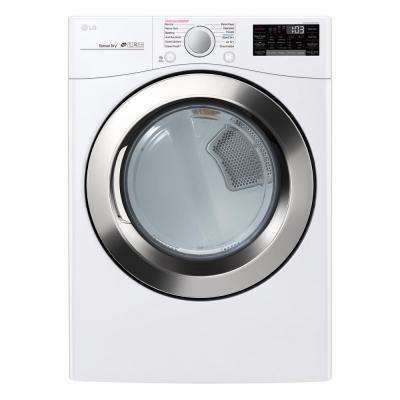 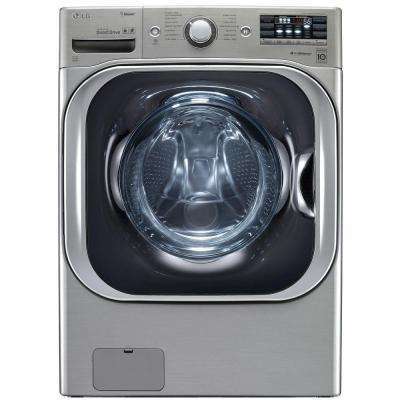 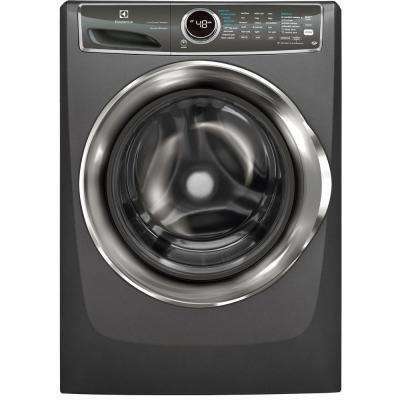 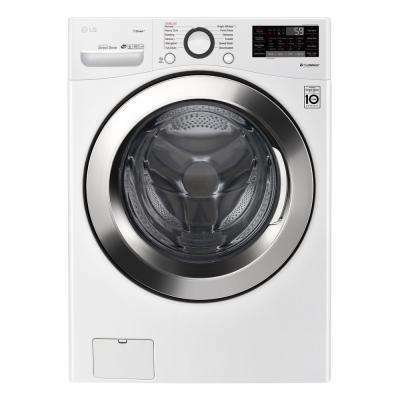 As you shop for a stacking front load washer and dryer, don’t forget that low profile can still be high tech. 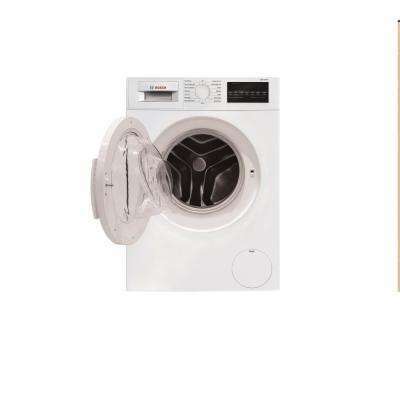 Choose a slim dryer that connects to Wi-Fi to watch your laundry from afar. 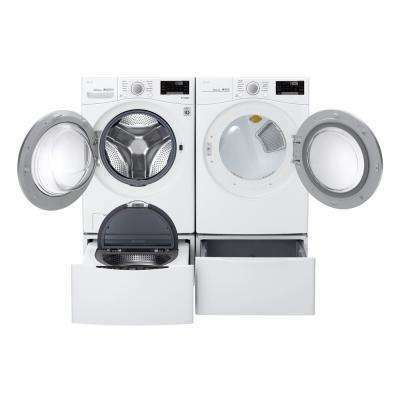 You can even stack your washer and dryer yourself with our selection of washer dryer stacking kits. 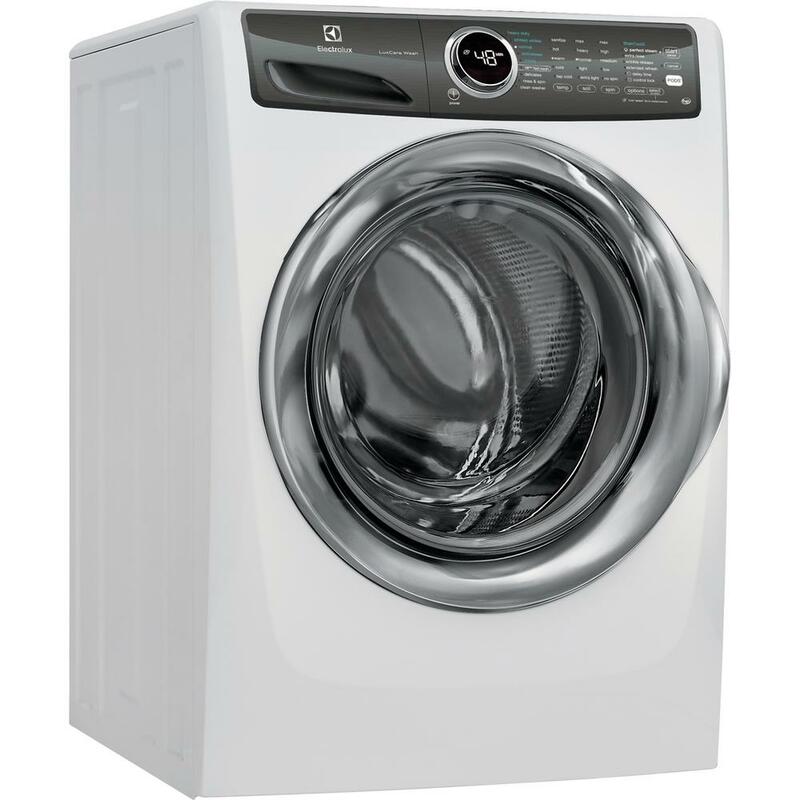 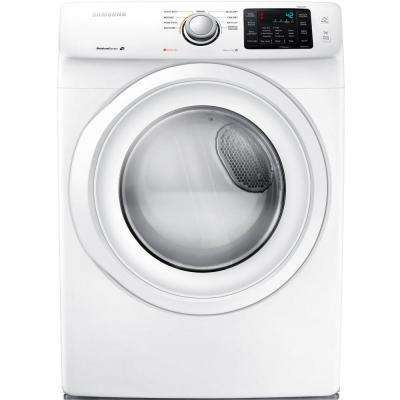 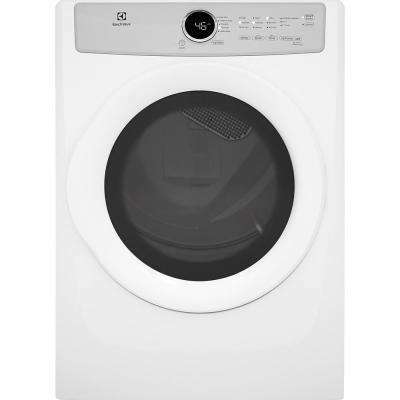 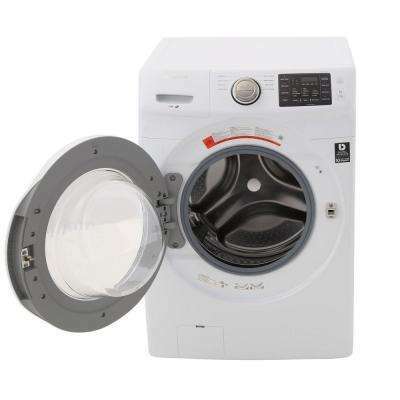 To learn more, check out our washing machine buying guide. 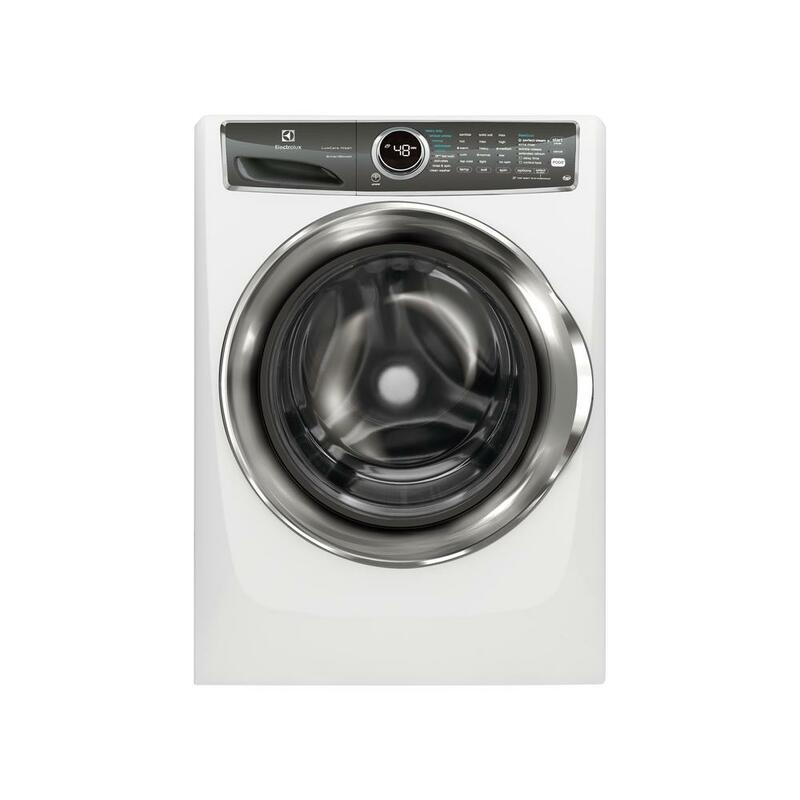 Also, be sure to measure the available space for your washer and dryer before purchasing. 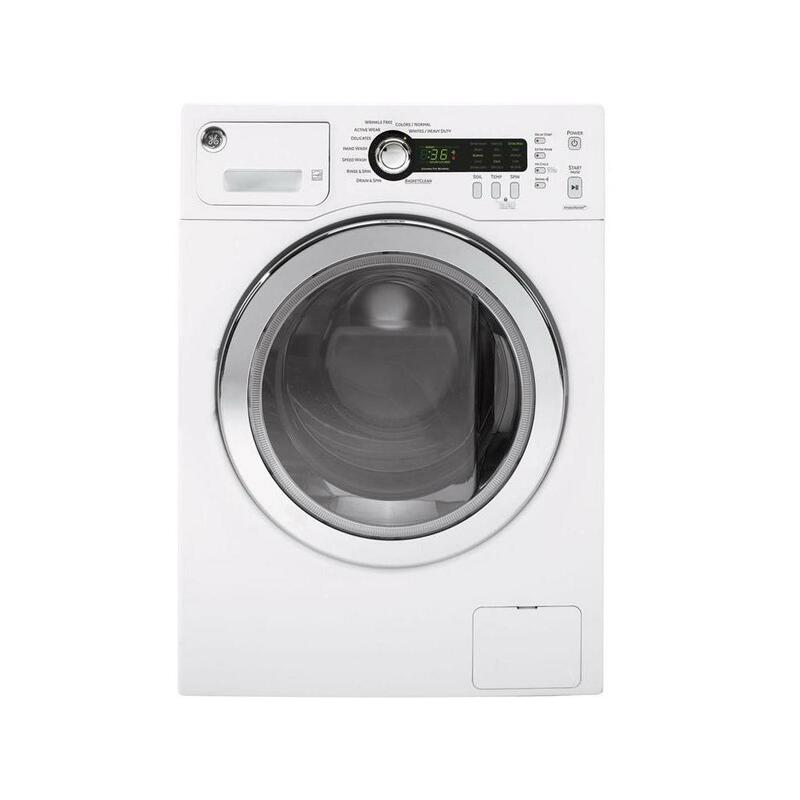 This video will show you how to measure a washer and dryer properly.